← LET YOUR NEW YEAR’S CELEBRATION BEGIN TOMORROW!!! THE “FSA CHRISTMAS” ANNUAL TOURNAMENT HERE IN BRADENTON. 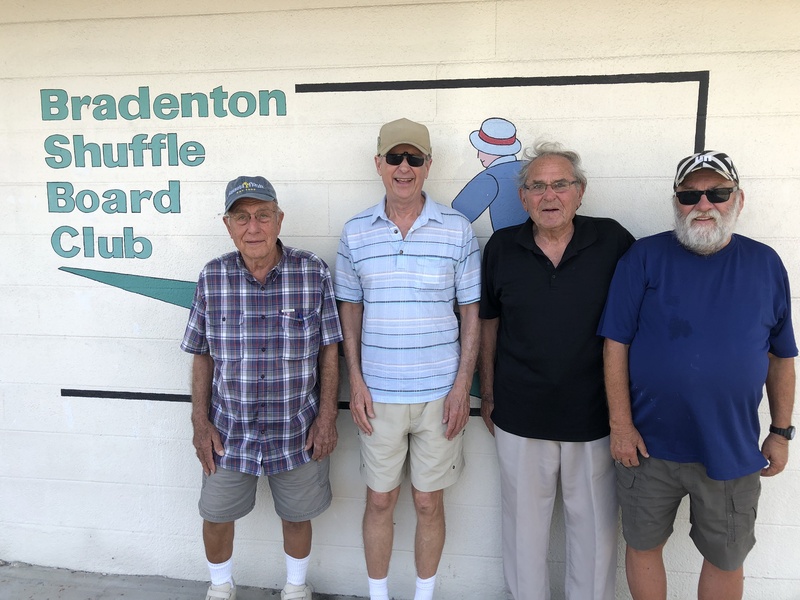 THE STATES TOP PLAYERS GATHERED TOGETHER THIS WEEK TO PARTICIPATE IN WHAT COULD BE CALLED THE “FSA CHRISTMAS” ANNUAL TOURNAMENT HERE IN BRADENTON. THE LADIES DIVISION FINAL FEATURED 4 OF THE BEST PLAYERS IN THE STATE. 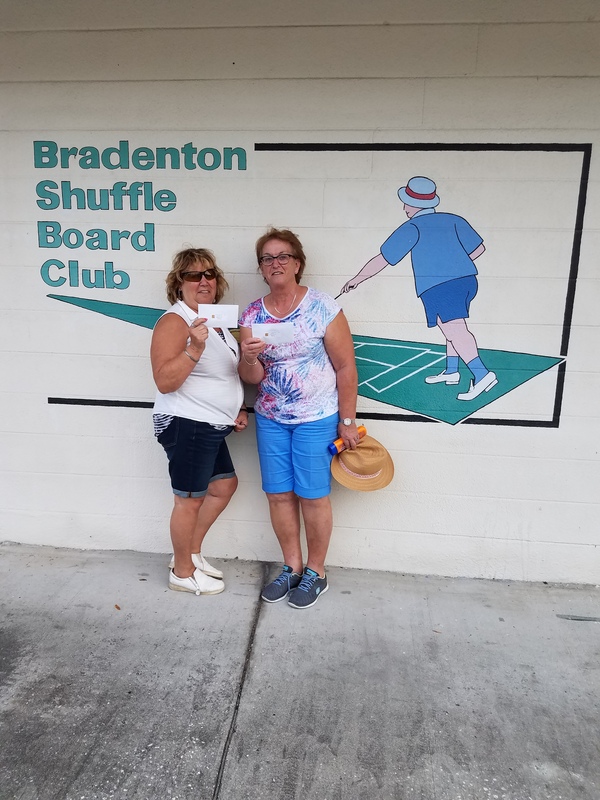 (LEFT TO RIGHT) TAKING 2nd PLACE WERE FLO KOWALEWSKI & PAM NURNBERGER. 1ST PLACE WINNERS WERE GLENNA BRAKE & TERRI SMITH. 3RD; COLEEN AUSTIN & ALLIE ENOS. 4TH; CINDY SLAUGHTERBECK & PAT TOMKO. 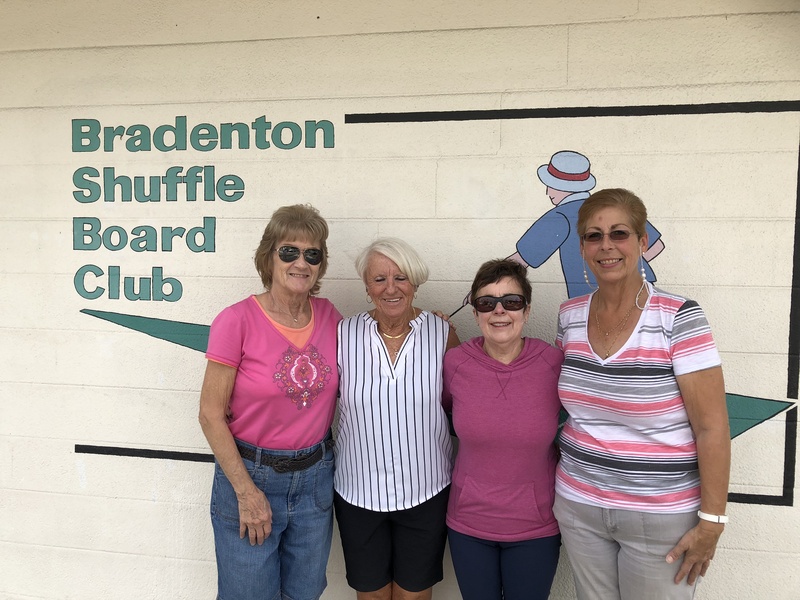 LADIES CONSOLATION: 1ST PLACE; DEBBIE NORTON & MAUREEN BRYAN. 2ND; LETHA DEVRIES & KATHY BOUTWELL. 3RD; MARLENE COBURN & MARILYN EVERETT. 4TH; BARBARA KING & KATY WALKER. MENS DIVISION (LEFT TO RIGHT): 1ST PLACE; LARRY TAYLOR & LARRY MARDIS. 2ND; STEVE BIAGGI & PETE SIDOSKI. 3RD; EARL BALL & HENRY STRONG 4TH; DAVE MINNICH & JERRY EVERETT. MENS CONSOLATION: 1ST PLACE; BILL BATDORFF & FARON VANDEGRIFT. 2ND; STAN KOWALEWSKI & JACK NORTON. 3RD; ROSAIRE COTE & FRANK NIZIOLEK. 4TH; GERRY JOHNSON & JOHN SIMMONS. STATE AMATEUR TOURNAMENT A-10 1ST PLACE WINNERS (PIX) WERE MARIA DUGUAY & CLAUDETTE BELANGER. 2ND; PIERE MARCOTTE & GILLES POIRER. 3RD; MARY FOWLER & FRANK MARDEROSIAN. 4TH; YVON MASSY & VIATEUR VERREAULT. CONSOLATION: 1ST PLACE; RITA MARDEROSIAN & LARRY FOWLER. 2ND; MEL ASCOTT & BILL BECKMANN. 3RD; JANICE O’SULLIVAN & ELAINE ANTAYA. 4TH; KEN MAXWELL & JOE SCIORTINO. SPONSORS: PETE KOCHERA, JO MILLER (and family), STEVE & CINDY SLAUGHTERBECK & DORLORES & JOHN BROWN. DIRECTORS: JOYCE MARQUIS & PAT BATDORFF. REPORTING FOR THE SWCD, RON NURNBERGER. Posted 2018 12 28.